In the time it takes you to read this article, thousands of smartphones will have been bought around the world. A saturated market like this makes it tough for manufacturers to stand out. Sometimes they develop awesome new functionality or gorgeous designs to tempt us into parting with our cash. Sometimes the rush to innovate and differentiate makes them go a bit crazy and create something distinctly strange. We’ve looked at the good. We’ve looked at the bad. Now it’s time to look at the ugly, or just plain weird. These are some of the craziest smartphone designs we’ve ever seen and all of them are real products that were sold in stores to the unsuspecting public – we’re not including concept phones here. We’ll kick off with strange smartphone designs, but you’ll find some older and weirder cell phone designs further on. This Android pocket square came in a series of stunningly garish colors, and the 2.8-inch touchscreen flipped out to reveal a full QWERTY keyboard. The wacky design was supposed to appeal to teens, but the screen and keyboard were both too small to comfortably use. Trying to browse the web on this phone was torture and the camera was poor, but it was certainly innovative and eye-catching. This purple and plum phone was somewhat patronizingly aimed at the female market. Note the special glowing charm, designed to hang out of a purse and clip to the strap, which would light up to let you know when your phone was ringing. It was actually a standard midrange Android phone with a supposedly feminine paint job and an unusual accessory. If you missed the “lady phone” marketing, you might well have bought one yourself. Two screens are better than one, right? Maybe not so much when the second screen is just an app tray that splits your physical keyboard in half. This bulky slider was as thick as a brick when closed, the split keyboard was difficult to use. The dual-screen setup was only really good at one thing — draining the battery quickly. Early touchscreens were often a pain to type on, so the transition away from physical keyboards didn’t happen overnight. One of Motorola’s missing links was the Backflip, which was a fat phone with a keyboard on the back when closed, but you could flip the keyboard around to sit beneath the screen for comfortable typing. There was also a trackpad on the back of the screen, which was perfectly placed for accidental taps and swipes at unexpected moments. This chunky phone had an unusual hinge that swung open to reveal a second 3.5-inch screen. You could slide the two side by side for tablet mode — which spread content across them both as though they were one — or use a tiny handful of modified apps that took advantage of the dual-screen setup. The giant bezels made tablet mode a bit rubbish, the mechanism was awkward, and the two screens proved excellent at killing the battery. If you can’t learn from the past you’re condemned to repeat it. We can’t fathom why ZTE decided to bring out what looks and feels a lot like a slightly improved version of the Kyocera Echo, but it did, and the design doesn’t work any better with two 5.2-inch screens. The dividing bezel still distracts, it’s plagued by stutter and lag, and the battery drains at double speed. Powerful and speedy with a great display, the Galaxy S5 was favorably reviewed, but the design was a serious misstep for Samsung. While Apple and HTC blended glass and metal in stunning designs, Samsung wrapped a metal-effect band around a plastic back with a sticking plaster finish. For a flagship phone, it felt cheap and looked ugly. 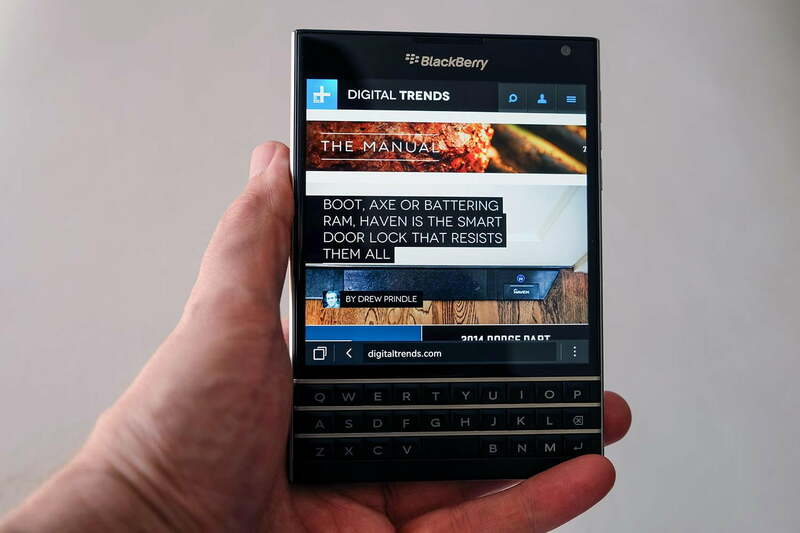 The BlackBerry Passport must be the shortest, widest phone ever made. It was so squat that it could hardly be managed one-handed. The 4.5-inch touchscreen was square, which didn’t work well with most apps or videos. It was also laggy and expensive, but at least that fat body provided room for a big battery. This device struck on a smart solution to the battery draining dual display conundrum — make one of the screens epaper, like a Kindle. The always-on epaper allows you to see the time, incoming calls and messages, or even calendar appointments without firing up the main AMOLED which drains the battery. It was too expensive and packed unimpressive specs, so it failed to catch on, but we still think it’s a smart idea. And you thought your iPhone X was expensive at a paltry $1,000. Little did you know you could drop more than 10 times that to get a hideous leather and titanium phone with distinctly average Android innards and loads of bloatware. The Vertu Signature Touch started at $11,500. Conspicuous consumption at its worst. If you’re suitably sickened by the Vertu, you might want to sit down. The Solarin is a $13,000 Android phone covered in a weird carbon-leather weave, with a special diamond switch that activates shielded privacy mode, supposedly making your communications unhackable. The cost is justified by an ostentatiously expensive body and your own cybersecurity team on 24/7 call because functionally this was an average Android flagship with a heavily modified interface atop an older version of the OS. With dominant touch displays, modern smartphone design hasn’t gotten all that weird. But older cell phone manufacturers were less restricted, and some of them really went to town. One of the smallest (87 x 78 x 19mm) phones at the time and definitely one of the strangest phones ever released, the teardrop-shaped Nokia 7600 had a bunch of interchangeable covers for the fashion-conscious. With a 128 x 160-pixel color screen, 3G support, a VGA camera, and polyphonic ringtones it was a mixed bag. The big problem was that it proved almost impossible to use. The holy grail of a successful gaming phone remains elusive. Nokia’s ill-fated attempt to take on Nintendo’s Game Boy Advance fell woefully short of the mark. The taco shape was odd, there was a lack of good games, and the screen had an aspect ratio of 11:13. It eventually got some decent titles, including Civilization, though it’s very hard to imagine playing it on a device this size. Another fashion phone from Nokia, the 7280 was supposed to resemble lipstick. It had a tiny 208 x 104-pixel screen on the side. The end slid out and it had a touch-sensitive spinner, like you would find on an old iPod, instead of a keyboard. It looked completely different from everything else on the market at the time and it’s still an eye-catching design. Another fashion experiment, the clamshell Xelibri 6 actually had two mirrors inside for doing your makeup. There was also a weird round keypad and a tiny 101 x 80-pixel display in the middle of the top mirror. This was the oddest in a very odd line of phones. This bright green monstrosity was made from 80 percent recycled materials, according to Samsung. It was an attempt at an eco-friendly phone, an idea that has failed to catch on. The manual was even printed on recycled paper with soy-based ink. It was a slider phone with a full QWERTY keyboard under the tiny, wee screen. Perhaps the weirdest thing about this lozenge-shaped phone with a circular display at the top and a keypad awkwardly spread across a further two circles below is the fact that it came out in 2011, which makes the iPhone 4S, Galaxy Nexus, and Droid Razr contemporaries. As well as a phone, it was an MP3 player and a USB storage device, though there was no space for a camera. That is it for our roundup of the craziest phone designs, but if you have suggestions for more, let us know about them in the comments.